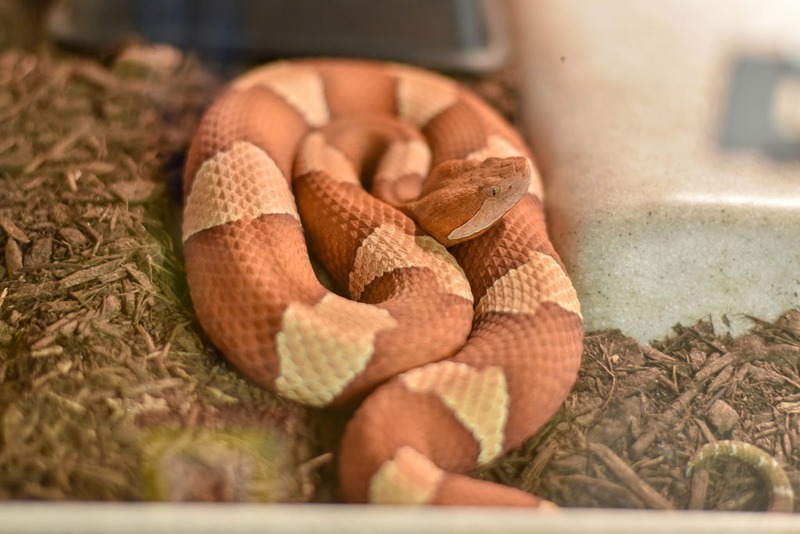 Northern copperheads are one of only two species of venomous snake in the state of Maryland. The other is the timber rattlesnake. Northern copperheads live in varying terrain along the east coast of the United States, from Massachusetts south to Georgia and Alabama and west to Illinois. In Maryland, they can be found in coastal areas, marshes, forests, fields, wooded slopes, and ravines from the Eastern Shore west to the Blue Ridge Mountains. Copperheads particularly like terrain with rocky outcroppings. Northern copperheads are one of three species and five subspecies of copperhead living in North America. Check them out at the Maryland Zoo in the Cave, located in the Maryland Wilderness. Snakes have adapted to live in every environment on earth except polar. Their only significant adaptive limitation is an inability to produce internal heat. Like all reptiles, they are ectotherms. They can not generate their own body heat and must regulate body temperature instead through warmth from the sun. They bask in the sun to stay warm, stretching out fully, lying on or under rocks warmed by the sun, and spending nights on rock or pavement that hold heat after dark. When it’s cold outside, snakes coil themselves tightly in order to retain heat. They seek shelter from both excessive heat and excessive cold. Northern copperheads are medium-sized snakes that brumate, which is very similar to hibernation but involves different metabolic processes and allows the animal to be mostly asleep but still capable of occasional activity, such as waking up to drink water, communally through the cold winter months, emerge in the spring, and then disperse. They may bask outside in the sunshine during the spring and fall when temperatures are moderate, but become nocturnal during the hotter months of summer in order to avoid midday heat. They find shelter in or under fallen logs, leaf litter, and rock outcroppings. They tend to be particularly active on humid, warm nights immediately during or after rain. One reason for this is that small animals — their prey — also tend to be most active on rainy nights. Northern copperheads are venomous, which means that they kill prey by biting and injecting venom. They feed on mice, birds, frogs, and insects such as cicadas. Their bite is enough to kill these small animals, but would rarely be fatal to a human. What’s more, copperheads aren’t really looking to bite humans. Like most snakes, they are naturally shy and unaggressive and would strike a person only if cornered or feeling extremely threatened. Like all snakes, Northern copperheads rely on keen senses of taste-smell and sight to locate and catch prey. Snakes flick their tongues in and out to “taste” the air, picking up scent trails of prey. Some snakes, including copperheads, also have heat sensors near their mouths or nostrils that help them locate warm-blooded prey in total darkness or dense foliage. Northern copperheads don’t really have to go in search of prey, though. When coiled in leaf litter, they are so well camouflaged that they are practically invisible. They can sit unnoticed and wait to strike at prey that passes by. They swallow their prey whole, as do all snakes. This is an amazing feat made possible by a snake’s ability to literally unhinge its jaws, expand its skull, and shift internal organs out of the way! Because snakes can eat so much in one meal relative to body size, they do not have to eat often. Northern copperheads are beautiful, brilliantly colored and patterned snakes that stand out against a blank background but literally melt into their native habitat. They become invisible in plain sight.  They are colored shades of copper, tan, and brown – perfect camouflage against leaf litter – and they have a disruptive pattern that breaks up their outline, making them harder to spot. Northern copperheads play an important ecological role in their environment, as do all snakes. They help maintain the balance of nature by being both predator and prey. This particular species of snake helps to control rodent populations in its environment. As venomous snakes, Northern copperheads also are potential contributors to human medicine. Scientists are finding that venom is a virtual treasure trove of medically significant chemical compounds. The milky liquid composed of enzymes, proteins, and toxins that act on the body in a variety of ways. Some of venom’s more common effects include blocking the transmission of nerve impulses, thinning blood, shocking the heart, and rapidly breaking down flesh and muscle. Scientists see treatment possibilities in each of these effects. Thinning blood, for example, can help reduce high blood pressure. Blocking nerve impulses that trigger pain can help reduce pain. Already medical researchers have derived some drugs from venom that reduce pain or treat heart disease. They also are investigating compounds in venom that might lead to treatments for nerve diseases such as epilepsy, multiple sclerosis, and Parkinson’s disease; infectious diseases such as tetanus, hepatitis, and malaria; and vision disorders such as cataracts. Most snakes are both predator and prey to other animals. Some animals that might prey on copperheads are eagles, hawks, coyotes, and raccoons. When threatened, Northern copperheads will lie still or move away slowly, sometimes rattling their tails. They may also emit a musk that smells strangely like cucumbers. Copperheads mate in late spring or early fall, but interestingly ovulation occurs only in the spring. Female copperheads can store sperm for a long time, including through winter brumation if they happened to have mated during the fall. Male copperheads may fight for the right to breed with females, and usually the biggest, strongest male wins. Females also can be selective about mates by mimicking the male fighting posture and refusing to mate with any male that backs down. Females give birth to live young in the fall. They produce between 3 and 14 young on average. The baby snakes are about 8 inches long at birth and will reach an adult length of two to three feet. Newborn copperheads are on their own immediately – there is no parental involvement among snakes – and may manage to catch a meal or two before burrowing underground to hibernate through their first winter.